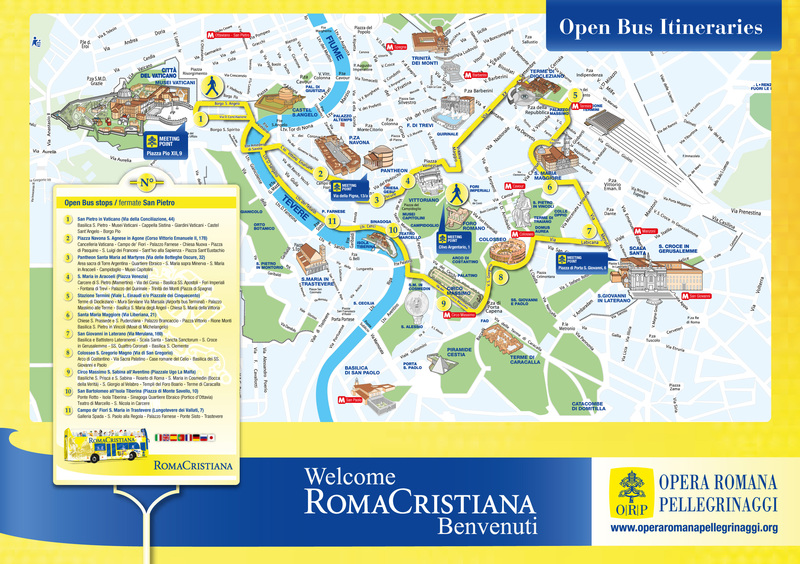 Thanks to Roma Cristiana Double Decker Bus in Rome and its 20 stops strategically located around the city’s must sees, you will easily reach Rome top attractions. regional Roma-Lido, Rome Flaminio, Piazza del Popolo-Viterbo and Rome-Giardinetti), within the City of Rome. Last departure: 18:00pm (Termini Station), 18:00pm (St Peter basilica).